The Letter of Good Standing is signed by a church official, notarized, and given a church seal to advise the state of your good standing within the ULC. This is often a required document if you are planning to perform a wedding or apply for hospital or prison chaplaincy programs. 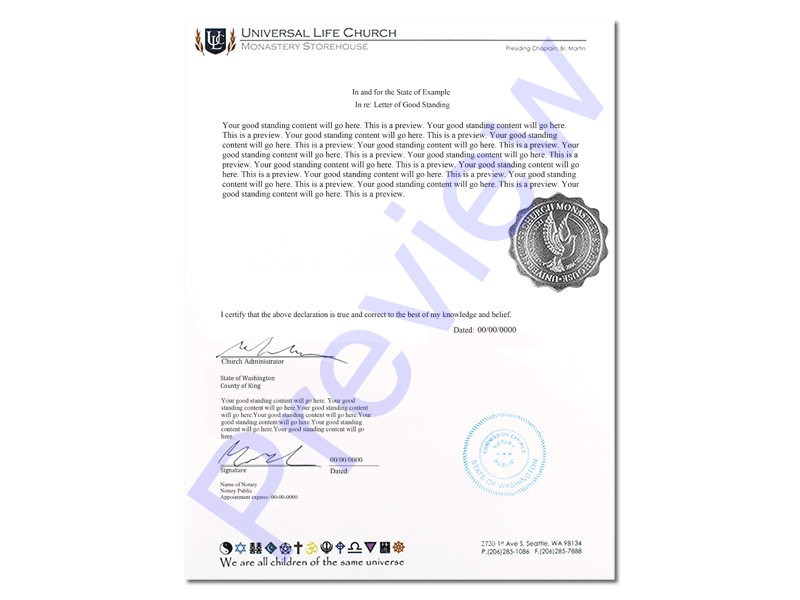 This letter is issued with the live signature of the ULC administrator, given the church seal, and notarized to prove your current legal good standing within the church. Please enter the correct state location where the wedding will take place.